You may know this about me already but there was a time, over six years ago, when I was a law student working in a law firm. 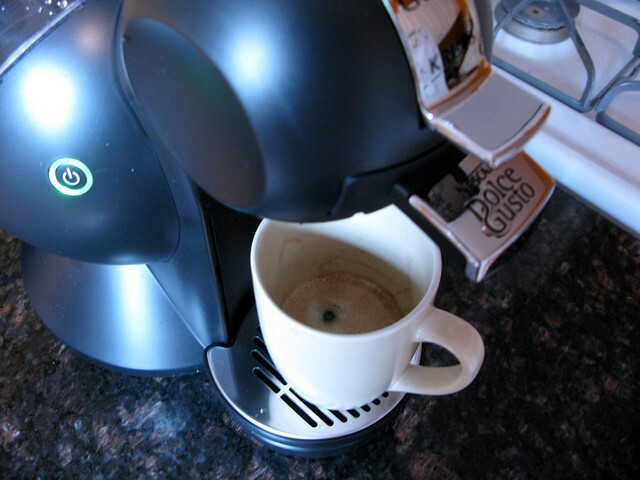 And this law firm had a little coffee room and the coffee room had a machine that made individual cups of coffee; you chose your flavor–often the highlight of my day, in that dreary place–and once you selected your pod, you slid it into a slot, pushed a button and voila! There was your very own personalized cup of coffee. 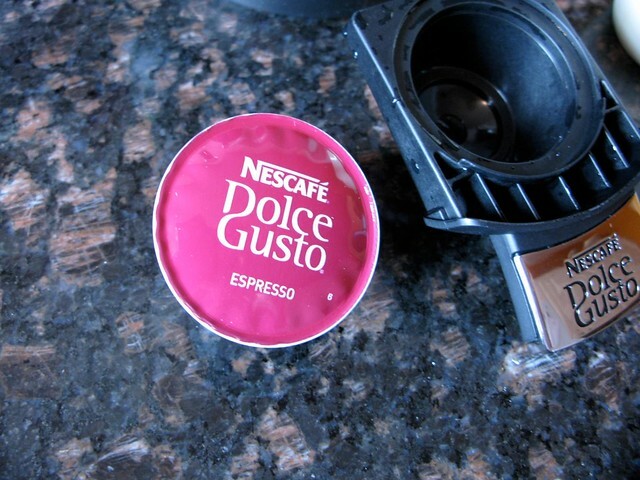 Which is why, when Nescafe offered to send me their Dolce Gusto machine, I was skeptical. Actually, I wasn’t skeptical: I just wasn’t interested. I prefer my coffee made fresh with fresh beans, ground right before brewing. I get most of my coffee from coffee shops anyway and the only time I wish I had a coffee machine in the house is in the winter when it’s freezing cold outside and the idea of leaving the apartment seems like the most miserable prospect on earth. But then, recently, I’ve visited the homes of chefs and food writers and discovered that they have similar machines in their apartments. 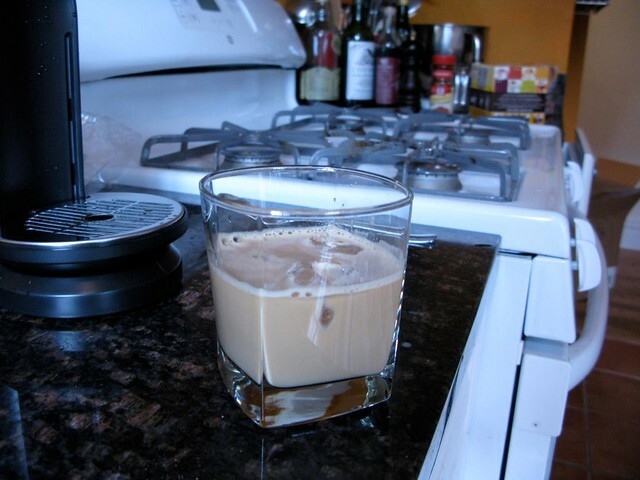 Amanda Hesser had one from Italy that makes a really great shot of espresso; the latte she made (she steamed the milk herself) was really excellent. And then, one of the chefs I cooked with for my cookbook had one too. Let me be brutally honest. 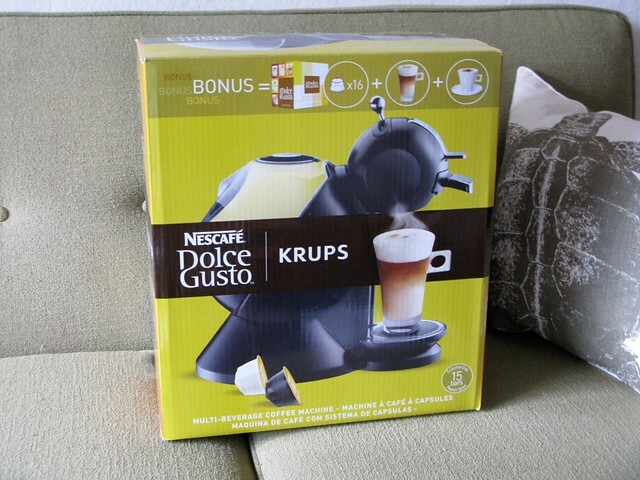 The cappuccino that I made with this Nescafe machine was not very good. The reason that it wasn’t very good is that their version of a cappuccino is to put powdered milk in the pod with the coffee, so the resulting drink is frothy in a really synthetic kind of way. However–and there’s a twist to this story–since getting this machine? Every night, when we’re watching TV, I’ve made myself a cup of decaf coffee with the decaf coffee pod. I don’t know why I do it. The decaf isn’t any better, but maybe because it’s decaf it tastes pretty much like any other cup of decaf coffee I’ve had before. I find a hot cup of decaf before bed kind of comforting; like a hot cup of cocoa, only summer-appropriate. 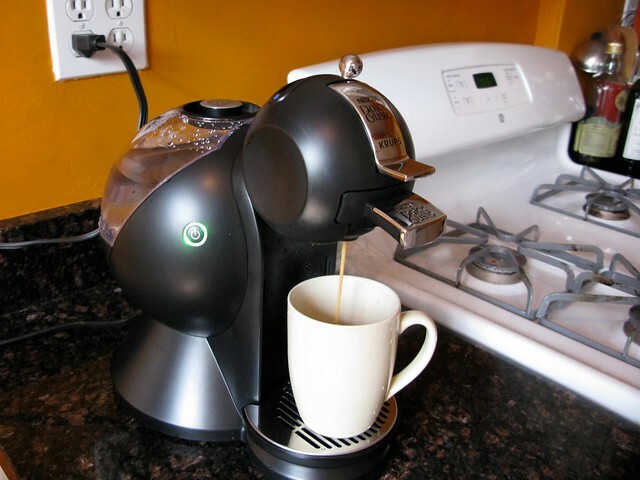 Now that’s what I call a coffee maker.